Last week ADVANCE celebrated DSP week. Each day we did something to celebrate our DSP's. We kicked things off the week before with out "Where's Sarah?!" Lucky Sarah Carlson- our winner from last year, got a flat Sarah version of herself sent around the agency. Monday we announced the weeks events and Brian read the Proclamation from the governor. Tuesday was treats for DSP's- each DSP received a "Rumor Has It, We're great" coozie with a soda inside. Wednesday was Supervisor surprise! Each supervisor gave their staff something they came up with. Thursday was"Thank a DSP Day" so we spent the day telling them all Thanks! Thursday night also happened to be the night where our President/CEO Brian took the Excellence nominees out to dinner at the Ram. Friday we wrapped it up with our Where's Sarah slideshow & the announcement of the winner of our Excellence in Service award. Congratulations to all of our nominees! 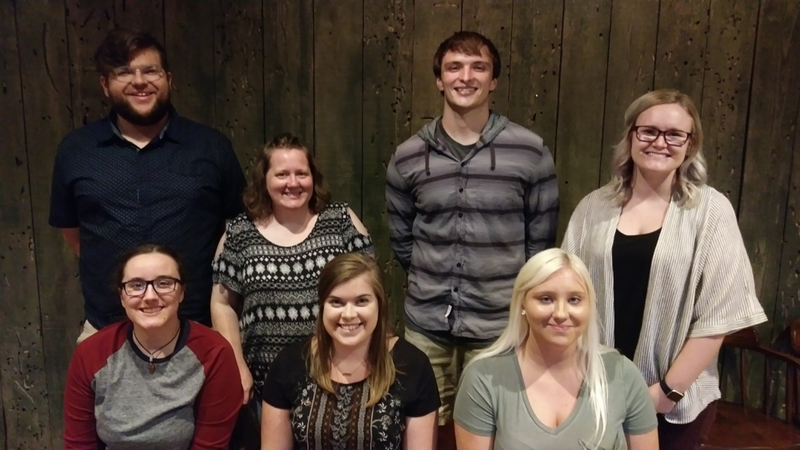 Excellence in Service Nominees 2018: Front L: Kelsey Saugstad, Emily Cuddy, Shelby Barker Back L: Parker Nelson, Val Witte, Braden Carmody & Morgan Hanson. Absent from the photo was Hannah Pannell.